MSG Network +, or MSG +, is a regional cable and satellite TV channel, property of MSG Networks. The network's broadcasts focus on sporting events related to New York-based teams, such as the New York Knicks (NBA), the New York Islanders, New York Rangers and New Jersey Devils (NHL), and MLS' New York Red Bulls. The channel gets its name from Madison Square Garden (MSG), owner and operator of this channel in the Mid-Atlantic region, and works as an overflow channel for MSG when two or more sporting events featuring teams from the New York region are being played at the same time or overlap between themselves. 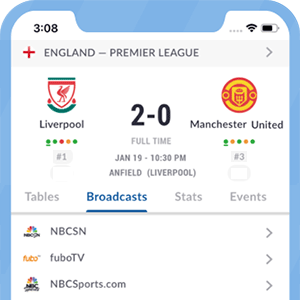 Added to the MLS team mentioned above, this channel broadcasts games from European leagues, which could include English Premier League games, thanks to their partnership with Fox Sports. Likewise, this channel may broadcast games for European club competitions every Tuesday, in a joint-venture with Fox Soccer. Several local cable systems broadcast this channel, which is why we invite you to look for availability in your region with our detailed guide. *Got itLive Soccer TV does not provide MSG Plus live streaming. The information provided on this page is simply MSG Plus soccer TV schedule.